This May I was invited to present at Writers Who Read at Thurston Middle School. This writers conference was created to inspire students to read and write based on hearing professionals discuss the ins-and-outs of their trade. Presenters included Dave Wedge from the Boston Herald, Mike Reiss from ESPN Boston and Elaine Teng from ESPN Magazine in addition to myself and a few others. I was asked to run two hour long workshops on fashion and my experiences as an influencer. The goal was to encourage students to both read and write, which wasn't difficult considering the category. Fashion is such a fast paced industry, that you have to be up on the latest news and trends at all times. "What is up with those Jesus Sandals (aka. Birkenstocks)?" Another topic that was brought up were rompers for men, a very new idea at the time. They approached fashion in a fun, and lighthearted way and it was so refreshing to hear and laugh along with. 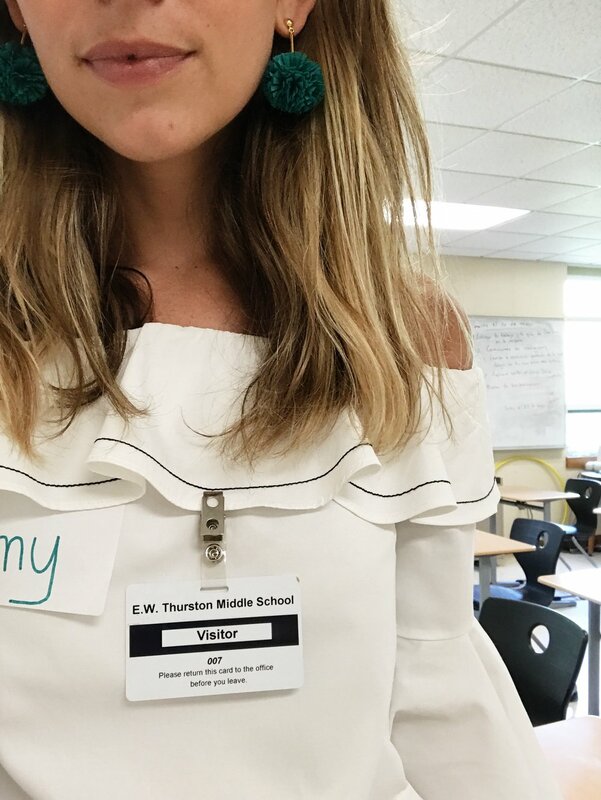 When I had students create a trend report, they made it clear that white Converse, off the shoulder tops and denim shorts were dominating the middle school scene. Some students got so creative, that they drew their look instead of putting it together online. Working with kids has always been a huge passion of mine, not only did I grow up within a family of teachers, but became one myself. Although my career path may change, if I can inspire a child to pursue their passion in addition to encourage them to be a better person, then I have accomplished my task. Working with these middle school students was such an incredible experience and I cant wait to do it again. You can read more here.